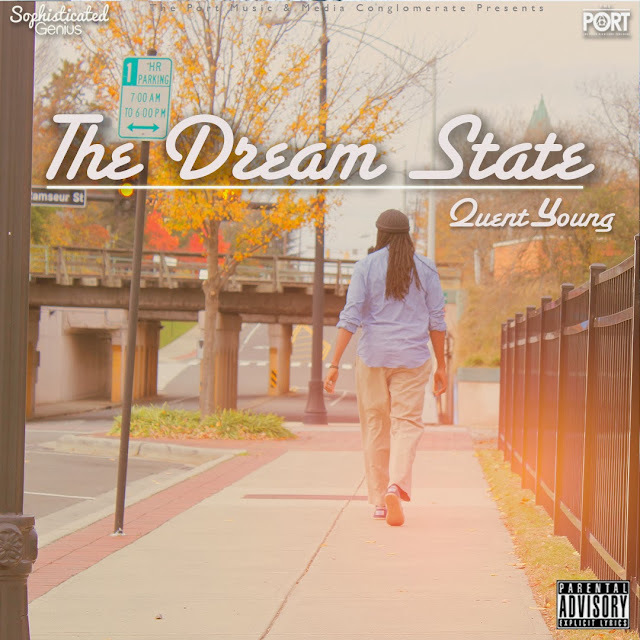 The Port representative and Gs staple Quent Young is easily one of the freshest emcees representing my hometown of Charlotte, NC. After building his repertoire with Conscious Thoughts, The Basquiat & Laid Back, it's clear Quent has found the best Southern-laced sound for his distinctly deep delivery on The Dream State. Stream + download The Dream State after the jump, and check out the visuals for the catchy yet mellow standout, "Hippy Chick" featuring Nandi JOAL. Previously: Quent Young - "Laid Back EP"
[Music Video] Rihanna - "What Now"
[Music Video] Pusha T ft. Rick Ross - "Hold On"
[Music Video] Drake - "Worst Behavior"
[Music Video] Jhené Aiko - "The Worst"